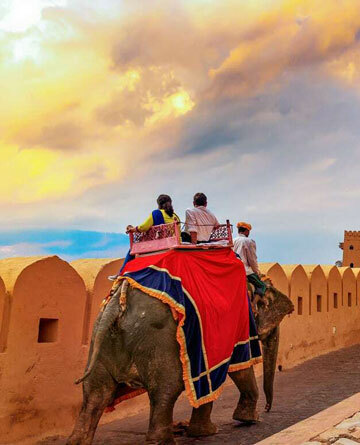 Car Rental India: Hire Cheap Discounted Car on Rent, Rent Car in India, private Car on Rent and Car rental with Driver in Delhi, Agra Jaipur and Rajasthan with Quality Services. 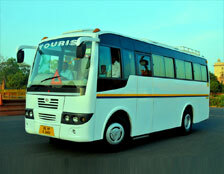 Our range of Cars includes Toyota Etios, Swift Dzire, Toyota Innova, Innova Crysta, Toyota Fortuner, Mercedes Benz S Class, Toyota Camry, Toyota Corolla, Tempo Traveller, Mini Coach, Volvo Coach, etc. 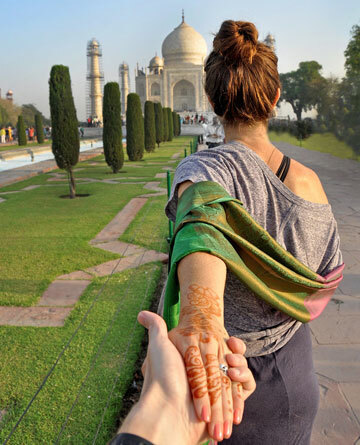 Hire Taxi India also provides excellent cab rental services for outstation (roundtrip, oneway, multicity) local usage (half day & full day), transfers (Airport, Railway Station, hotels and other Agra Car Rental places), Same day Taj Mahal Agra Tour, Golden Triangle Tour packages, Luxury Rajasthan tour package tours to the tourist and business travellers. 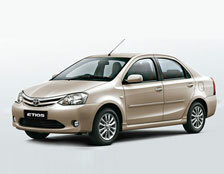 Toyota Etios is well known as one of the luxury and economical car in India. The design concept for the car is Bold Simplicity which is referred to affordable luxury and functionality in one machine. How fast does it go? How smooth will it runs? How cool will it be? Going for Toyota cars can be a great idea. 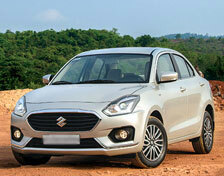 Swift Dzire Maruti Suzuki has been one of the most preferred automobile companies among Indian people. The car which was first launched in 2008 now comes with several new models and variants. Its impressive interiors, good sound absorbing materials, vibration dampener and power window make travel smooth and enjoyable. Toyota Innova is supposed to be the most demanded car. 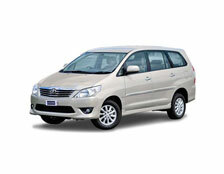 It is a perfect MUV Car which can accommodate up to 4 passengers and a driver. You can also carry up to 2 large bags and 2 small bags along with you. There is enough space for luggage in the car. 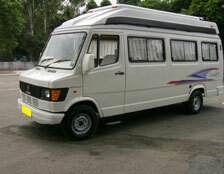 The inner space provided in this MUV is very comfortable for long journeys. So if you are planning for a long journey you can think of hiring this car. 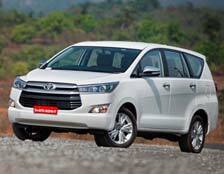 Introduced in 2016, it is the new age Toyota Innova.Combination of great exterior features along with Excellent interiors along with good suspension system gives a comfortable ride experience.APJ Cabs highly recommends INNOVA CRYSTA for corporate car rentals,Long distance travel,small group travel, family car rental and wedding car rental. 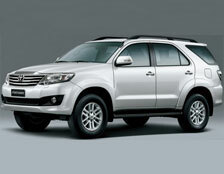 Toyota Fortuner is designed for those who want bulky and huge cars. It has always been on the heavier side. The new Fortuner has been given special treatment to look much mature and stylish. The face of this car has been revised to make it look fresh and aggressive. It looks very similar to Land cruiser; Its seats are extremely comfortable. High quality of fabric has been used for the seats. You are meant to feel good in the S-Class. That is why the vehicle interior offers the greatest possible comfort, thanks to numerous high-quality and fittings. There’s nothing quite like a long journey to truly appreciate the comfort of the S-Class. You are sure to have a pleasant ride with it’s multi-contour rear seats with a massage function and comfort head restraints. Toyota Camry is a benchmark in driving experience coming from the stables of Toyota and is considered a pretty car with the basic goodies coming as standard. 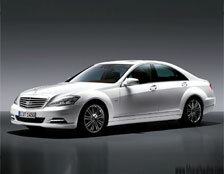 In India, Camry is sold as highly executive saloon car. 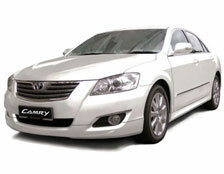 The name Camry is inspired by a Japanese word ‘kanmuri’ which means Crown. The very luxurious saloon. The interiors of Toyota Camry are completely luxurious and lavish. 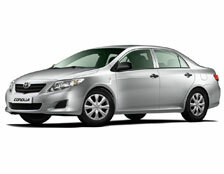 Toyota Corolla is one of the most successful models by Japanese car maker Toyota Motors. 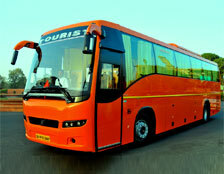 This superior mid-sized sedan is one of most desirable car for Indians customers. 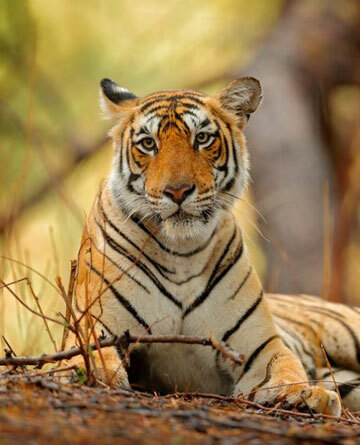 It looks executive and at the same time sheds luxury. The overall interior of Toyota Corolla Altis is created with a blend of wood finish and beautiful flooring and leather covering at seats as well. Toyota Corolla Altis also boasts of large boot space that is of 475L so that you can put your baggage and other stuff there.